Polyurethane, that ubiquitous artificial material out of which just about everything seems to be made these days, is super-cheap and durable enough that it’s absolutely everywhere. But it isn’t recyclable or biodegradable, meaning that the broken toy you throw out today will remain in the landfill forever and ever. This, obviously, is a huge problem for people who don’t enjoy living in a planet-sized trash heap full of lawn furniture and water guns. 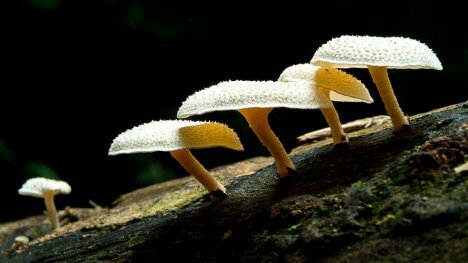 Enter Pestalotiopsis microspora, a mushroom found growing in the Ecuadorian rain forest (not the one pictured above) by a group of Yale students. The fungus can survive on a steady diet of nothing but polyurethane, the only organism known to do so. What’s even more exciting is that it can do this in an anaerobic (air-free) setting, such as the environment found at the bottom of a garbage dump. 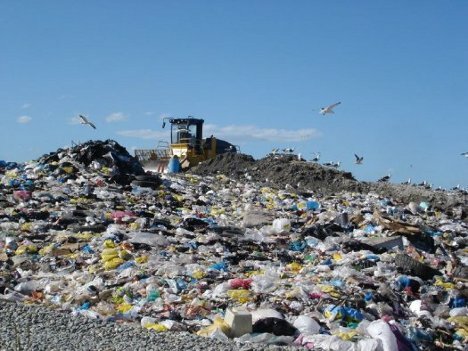 Maybe future generations won’t have to figure out what to do with all of our plastic waste, after all.